The “I’m sorry” was for my benefit: he knows I hate the phrase “politically correct.” And yet I too found laughable the idea of protecting hypothetical Trump-supporting 16-year-olds from the intellectual judgment of their peers. Waah! You Vermont liberals are so mean! Don’t make me feel bad for wanting a sexist, racist, xenophobic nincompoop to be president. “People’s beliefs are the only thing you should be able to judge,” said Noah. I agreed with his point. So why did I resist his terminology? The phrase “politically correct” has bothered me since my college years in the late 80s and early 90s, when women’s studies became a doctoral field and Allan Bloom decried the tragic devaluing of the Western canon. Around that time, my father (who perhaps not incidentally teaches the most canonical subject possible: Shakespeare) used the phrase in a book he was writing and I was editing; I made him take it out. It’s a phrase that insinuates rather than specifies, I (maybe) said. It’s got the slippery exterior of jargon and it makes you sound like a grumpy white male. Am I guilty of racism, sexism, classism? Am I guilty of agism, ableism, lookism? Am I logocentric? Do I say “Indian” instead “Native American”? “Pet” instead of “animal companion”? by John Taylor. Every movement has its embarrassing excesses; in fact, “politically correct” began, according to Amanda Hesser of the New York Times, as a self-deprecating joke among left-leaning activists. No matter. The right soon appropriated it as a term of contempt, mocking leftist excesses in the hope of dismissing the serious issue beneath it all: the ways in which we unwittingly perpetuate prejudice, injustice, and inequality through our language and our institutions. That last one is a new one, I think. Today’s version of political correctness includes the implication that no one really believes the “p.c.” versions of the statements they make. In other words, President Obama wants to say “radical Islamic terrorism” but is forced by political correctness to say “violent extremists.” And while you know in your heart the right thing to say is “Merry Christmas,” you say “Happy Holidays” for the sake of . . . political correctness. That fundamental presumption of insincerity is what gives “politically correct” its weaselly edge and “politically incorrect” its proud air of truth-telling. Which brings us to Donald Trump, self-described “truth teller.” For the past year, he has amplified the drumbeat against political correctness to such an extent that Americans polled in June think political correctness is a bigger problem than prejudice. Next to Hillary Clinton, political correctness is Trump’s favorite enemy. Trump uses the term “political correctness” to defend his own crass behavior (“I think the big problem this country has is being politically correct,” he said, in response to Megyn Kelly’s question about his calling women “pigs” and “dogs”). He uses it to accuse others of liberal weak-mindedness (“The enemy is cutting off the heads of Christians and drowning them in cages, and yet we are too politically correct to respond in kind” in a USA Today op-ed). And he uses it to preempt critiques of his policy proposals (banning Muslim immigration is “not politically correct, but I don’t care,” he said at a rally last December). Basically, if you’re looking for a quotation that includes the words “political correctness,” look to Trump. Beware, however: you may get confused. I, for instance, thought it was simple respect that kept us from calling people “pigs” and “dogs”; that we didn’t cut off people’s heads and drown them in cages on account of basic human decency, American values, and international law; and that we refrained from banning Muslims due to our very own, Founding-Fathers-Approved, First Amendment. I rejoiced at that comment, and then I took a moment to wonder how Marco Rubio and I could possibly agree. This is how: Political correctness is going too far in the attempt to make sure other people are treated with respect. The reason the term is so slippery is that “going too far” depends on your perspective. One person’s “going too far” is another person’s marriage equality . . . affirmative action . . . even Civil Rights Act. But all of us, even liberals, have a line we draw somewhere in the shifting sands of human progress; cross that line and eyes will roll. Trump’s line appears to be somewhere around the time of the Crusades. Mine, I see now, is at The Mountain School, around the time of Trump. If anyone is keeping track, that means Noah is right: it is indeed political correctness that is protecting teenage Trump supporters from the judgment of their peers. The irony would be delicious if I could stomach anything that rich this close to the election. 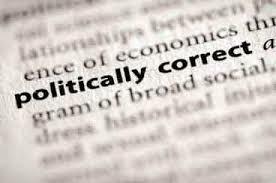 Political correctness is defined by who is defining it. So it can be slippery. But in its better sense it is the admonishment to “judge not lest ye be judged,” treat people with respect and maintain a civil discourse as a means of arguing one’s case. The power of words is vastly greater than most of us realize, and the importance of avoiding language that legitimizes bigotry, in all its forms, or ignorance cannot be over emphasized. Trump’s insistence on bluntly expressing his ignorance based belief system, if indeed he believes in anything but himself and his money, is appealing to those who want to keep their minds closed and hold on, indeed translate into government policy, their “deplorable,” attitudes. The fact that so many Americans can actually support such a person is the most disappointing thing about our populace I have ever encountered, and I have experienced much disappointment over the years. I don’t believe God ( who for your benefit Kate, I will assert does not exist, though I can’t prove it and frankly don’t give a damn whether or not he does) answers prayers, yet I will pray that he does not get elected. Right on Kate! I appreciate your blogs. They are well written and thought provoking. Just wish those who need to hear this would listen but fear that people are convinced of their ideas and get more entrenched in them when really they might look at a different perspective. On my website there is a painting titled “Lest Ye Be judged”. I am visual, not verbal and this is my way of expressing my feelings. It’s on the Abstract Painting page. When I make political statements in my art they are usually not people’s favorite paintings because they evoke raw emotions but I love making a stand.